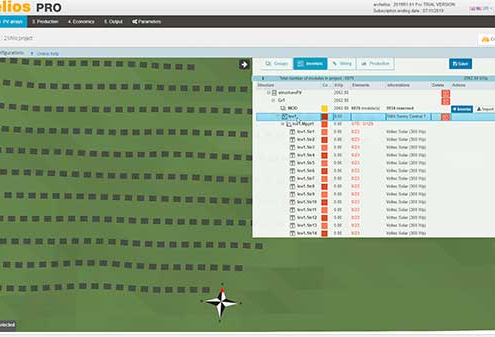 archelios™ is a professional design software, providing an accurate yield simulation and bankability analysis of any Photovoltaic project. 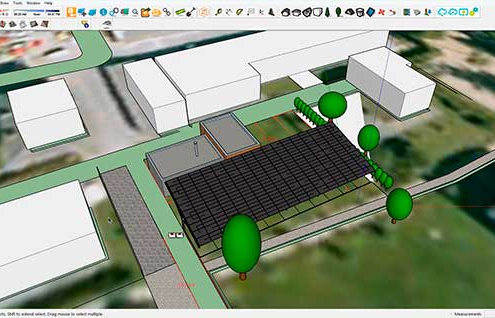 archelios™ offers powerful, innovative and easy-to-use features which facilitates the design and feasibility study of PV projects. The result is a geolocalized 3D mock-up which simulates the environment, using an updated database, providing accurate results, used by installers, consultants, developers, architects, investors and others. 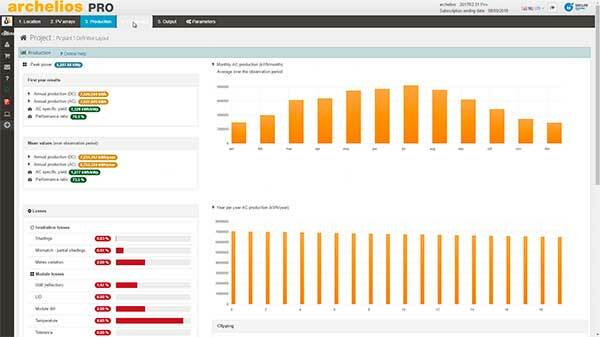 With archelios™, design any photovoltaic project, from a rooftop to big solar farms, obtaining a precise production forecast, detailed losses and economic indicators. archelios™ is recognized as one the most precise simulation software solutions in the world according to a study by Photon International and a study by the IJEEE newspaper. 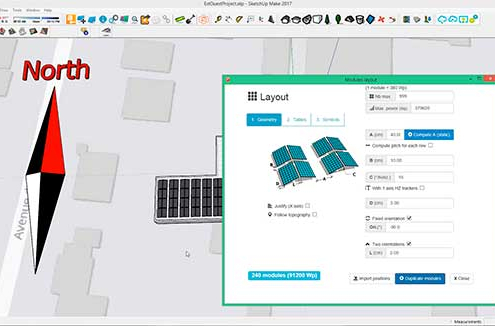 Easily export your PV project to archelios™ Calc to allow cable sizing and compliance and execution, as well as to archelios™ O&M for installation live monitoring. 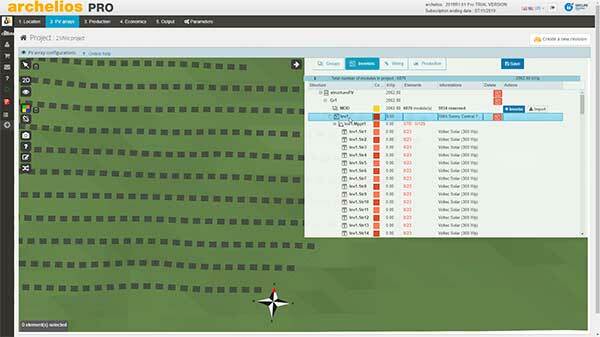 View your project in 3D and analyze each component. Advanced inverter / modules sizing wizard. Place, move and wire inverters and junction boxes. Offgrid / Self-consumption / Storage simulation (battery setup). Economic results / bankability indicators. 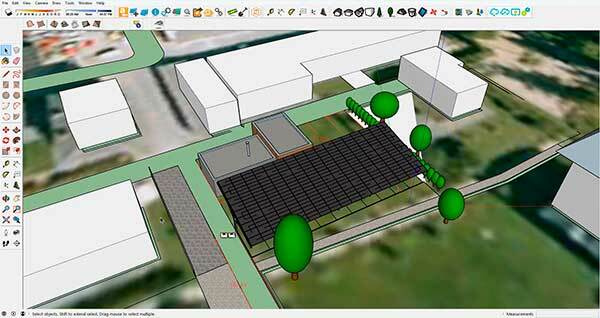 Design and simulate your PV installations! archelios is recognized as one the most precise simulation software solutions in the world. Discover why! 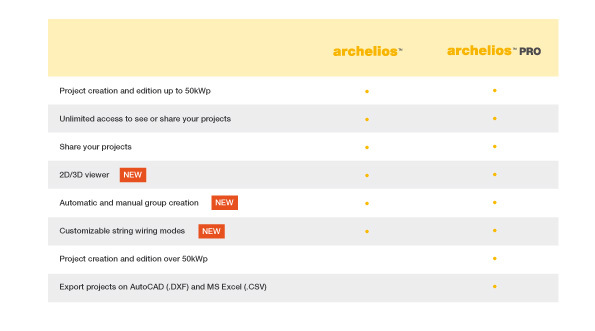 What is the difference between archelios & archelios Pro? 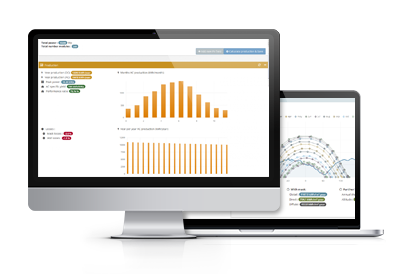 Access the online application as a trial version and try it out! You just need to be logged in. Register for a trial version! You want to buy the archelios application? Buy online with your personal login! 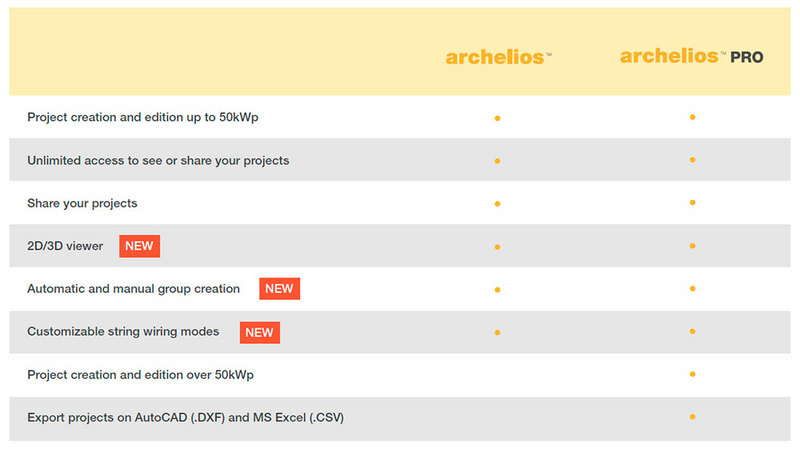 Complete the electrical sizing of your project with archelios™ Calc! 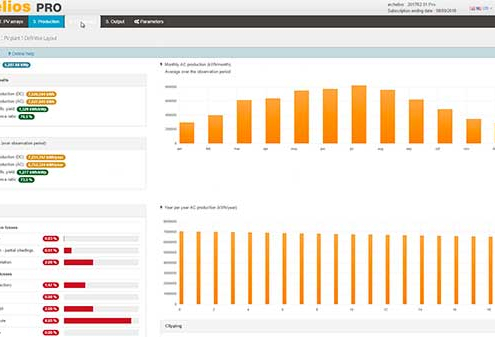 Use the export to archelios™ Calc feature and automatically recover all your data. 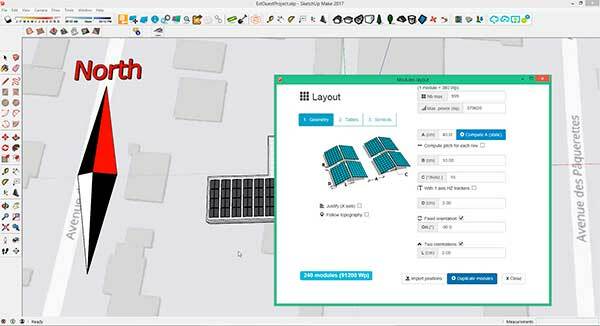 The integration of the two combined solutions within archelios™ suite allows you to entirely perform your photovoltaic projects.